Southeast Asia is one of the largest economic zones in the world. Growth in the region has been relatively quick and stable since the early 2000’s. However, one economy stands out from the others: Malaysia. GDP growth is shrinking rapidly while the value of its ringgit currency is near a 15 year low. With the lowest consumer confidence in the whole region, Malaysia’s economy has seen better times. Even though the Malaysian economy is one of Southeast Asia’s fastest growing, recent results show some disappointing numbers. The nation’s second quarter GDP growth rate dropped to 0.3% when compared to 5.6% during the first quarter. That’s the slowest pace the Malaysia economy has grown in more than five years. According to the Central Bank of Malaysia, factors contributing to lower GDP growth include a frail services sector. This is fueled further by weak expansion in most sub-sectors. Malaysia’s exports have dropped four months out of the previous six. Experts attribute this to an uneven economic recovery and a slowdown in China. The central bank believes domestic demand will be a key contributor to steady growth of the Malaysian economy in the future. However, that’s not guaranteed to offset continued weak performance in other sectors. With infrastructure investment projects like the Singapore high-speed rail link now cancelled under the new Mahathir government, there’s even more downward pressure on the Malaysian economy. The depreciation of Malaysia’s national currency, the ringgit, has been going on for awhile. But the ringgit recently dropped to its lowest value in over 17 years. A drastic decline in the ringgit isn’t without explanation and experts quote several reasons for the Malaysian currency’s fall. Four main factors are a crude oil price crisis, the US increasing their interest rates, devaluation of the Chinese yuan, and the ongoing US-China Trade War. Low crude oil prices have hit the Malaysia economy since energy is one of its biggest exports. That equates to heavy downward pressure on the nation’s total export value. Meanwhile, Beijing devalued their currency making other countries follow suit while trying to stay competitive overseas. The US-China trade war is causing currencies across Asia to decline as well. People have not reacted well to these dire circumstances – and average consumers might be hurting the most. A report from Nielsen says Malaysia now has Southeast Asia’s lowest consumer confidence level, suffering a large drop when many other ASEAN countries are seeing their confidence increase. 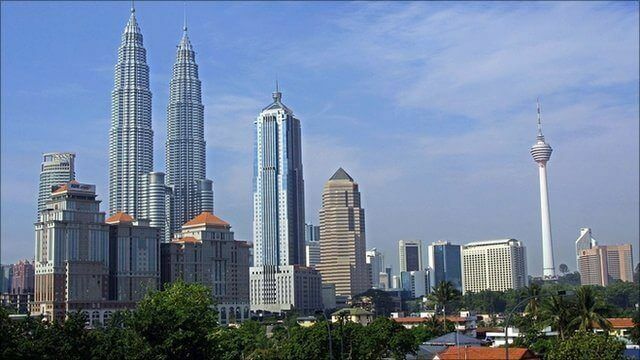 Malaysia’s consumer confidence levels are the region’s lowest and far below the global average. Consumers elsewhere in Southeast Asia are more hopeful. For example, the Philippines, Indonesia, Thailand, and Vietnam are among the top ten most optimistic countries in the world. 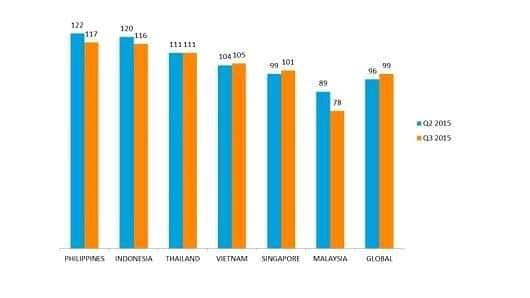 “With the exception of Malaysia, Southeast Asian confidence levels are still tracking along the global average,” according to the report from Nielsen. Record low consumer confidence, a generally bad Malaysia economy, and drastic depreciation of the Ringgit means the country must step up its game to compete with its neighbors. I’m nonetheless still bullish on real estate in Malaysia though. The weak ringgit works in your favor if you’re buying Malaysia property in terms of foreign currency.